Convallaria is a genus of flowering plants and includes Lily of the Valley. This is a plant that is sweetly scented and highly poisonous and is native throughout the cool temperate Northern Hemisphere in Asia and Europe. Convallaria majalis is an herbaceous perennial plant that forms extensive colonies by spreading underground stems and rhizomes. 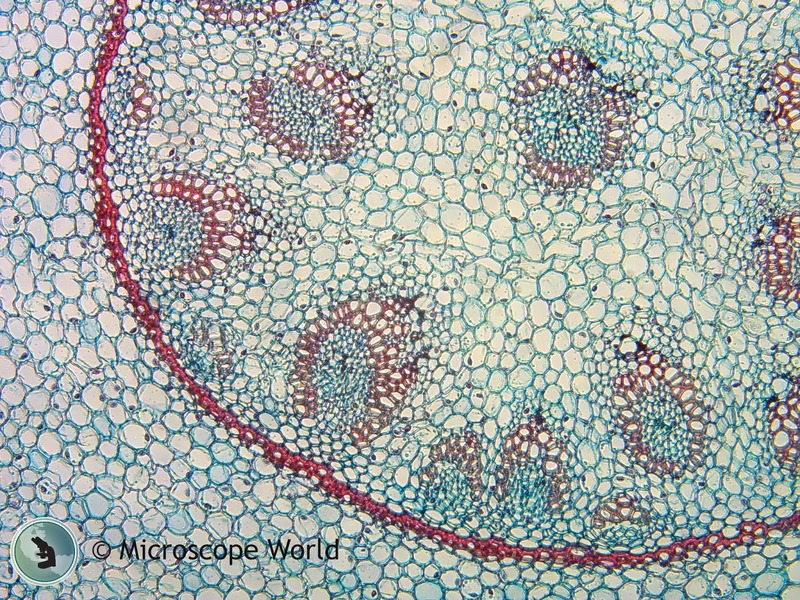 The images below of Convallaria were captured using the Zeiss Primostar microscope. 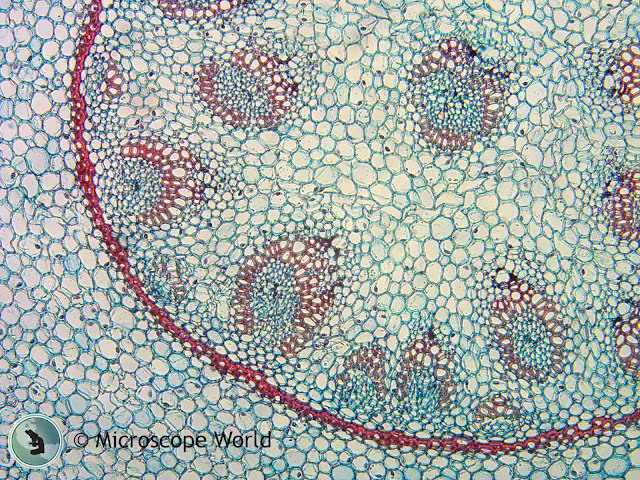 Lily of the Valley rhizome with concentric vascular bundles, captured under Zeiss Primostar microscope at 400x. Lily of the Valley rhizome with concentric vascular bundles, captured under Zeiss Primostar microscope at 100x. 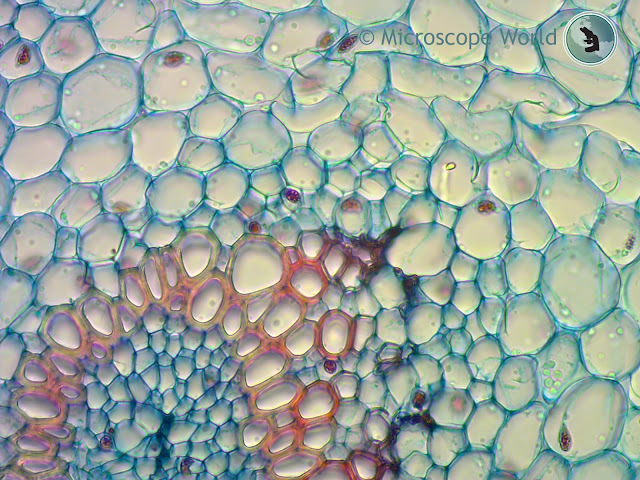 Contact Microscope World with questions regarding Zeiss microscopes or capturing images with your microscope.